Invisible network will handle phone rails, telegrams, television, FM and AIM broadcasts, complete newspapers—even carry your mail. By Martin Mann PSM photos by Robert F. Smith COMMUNICATIONS are being revolutionized faster than you think. The humming wires beside the highways already are rivaled by new systems, capable of transmitting more spoken or written words and more still or moving pictures from coast to coast. The difference between these new systems and those of the past is as great as that between oxcarts and stratoliners. 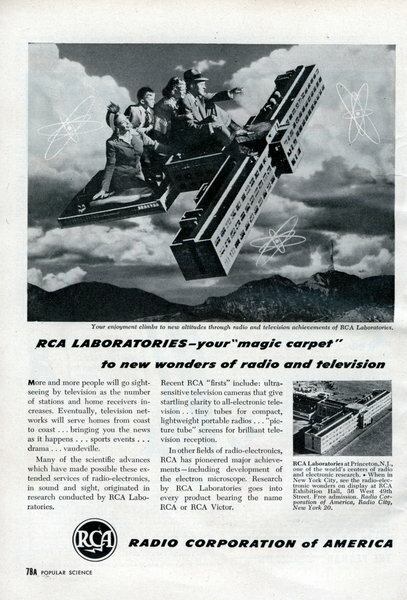 RCA LABORATORIES - your "magic carpet"
to new wonders of radio and television More and more people will go sightseeing by television as the number of stations and home receivers increases. Eventually, television networks will serve homes from coast to coast . . . bringing you the news as it happens . . . sports events . . . drama . . . vaudeville. FOR the first time since the development of modern Chinese script more than 16 centuries ago, a way has been found to copy quickly all of the language's thousands of complex characters. 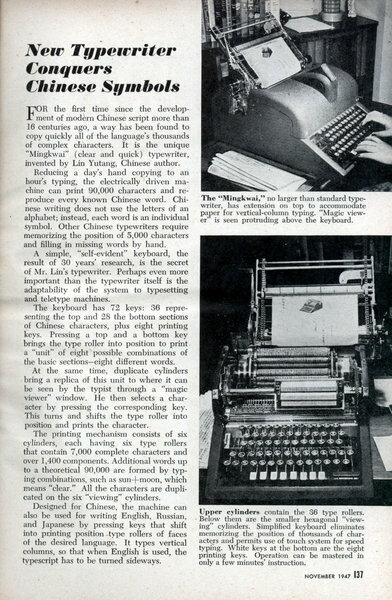 It is the unique "Mingkwai" (clear and quick) typewriter, invented by Lin Yutang, Chinese author. Reducing a day's hand copying to an hour's typing, the electrically driven machine can print 90,000 characters and reproduce every known Chinese word. Chinese writing does not use the letters of an alphabet; instead, each word is an individual symbol. Other Chinese typewriters require memorizing the position of 5,000 characters and filling in missing words by hand. 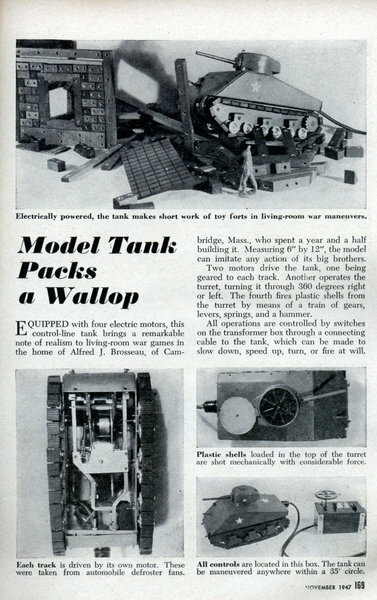 EQUIPPED with four electric motors, this control-line tank brings a remarkable note of realism to living-room war games in the home of Alfred J. Brosseau, of Cambridge, Mass., who spent a year and a half building it. 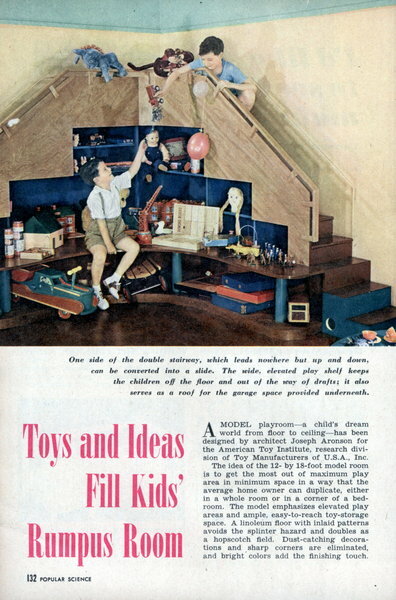 Measuring 6" by 12", the model can imitate any action of its big brothers. 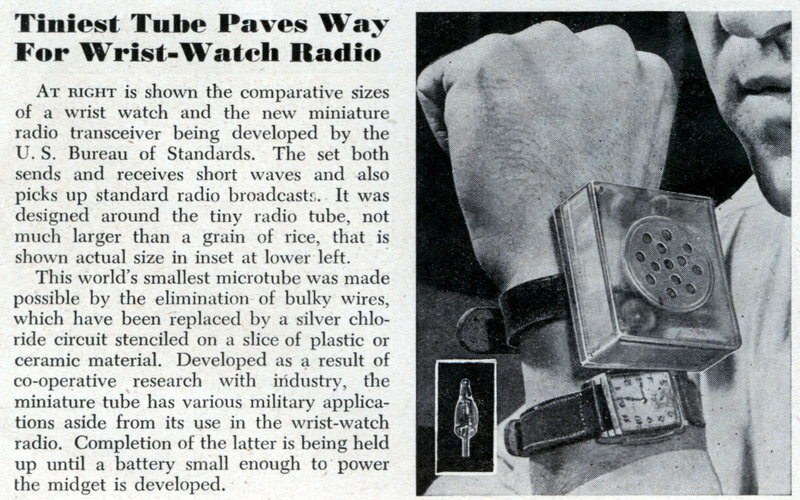 At right is shown the comparative sizes of a wrist watch and the new miniature radio transceiver being developed by the U. S. Bureau of Standards. 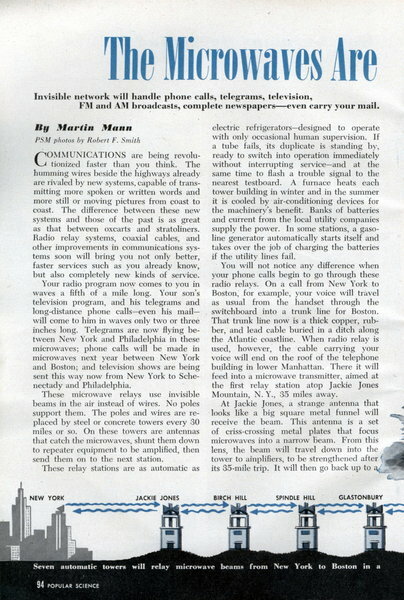 The set both sends and receives short waves and also picks up standard radio broadcasts. 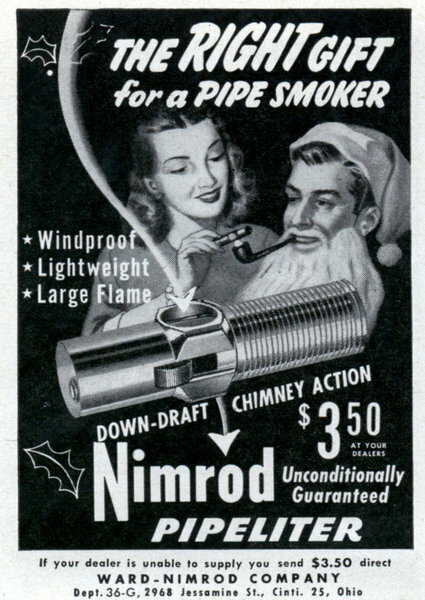 It was designed around the tiny radio tube, not much larger than a grain of rice, that is shown actual size in inset at lower left. This little atom smasher, designed by California high school students, works just like the big ones. 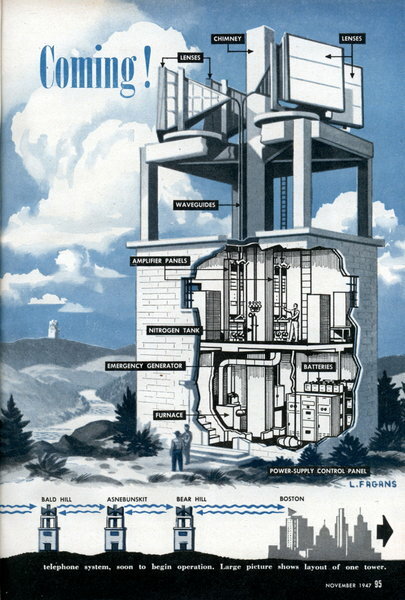 By Andrew R. Boone THE young nuclear physicist who won the Nobel prize by developing the cyclotron, Ernest O. Lawrence, started out with a little glass device that looked like a frying pan. Since then, cyclotrons have become such mammoth, complex, and expensive machines that the patent holders are rarely bothered by requests for licenses to build them. 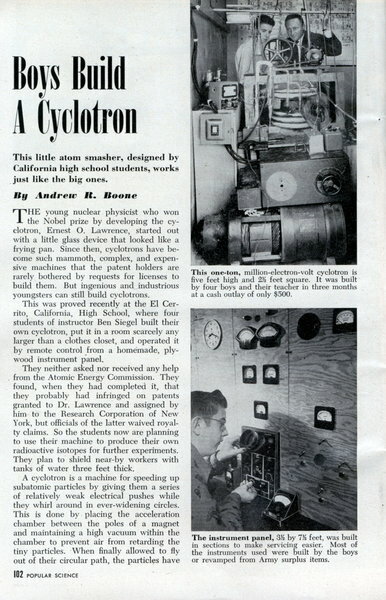 But ingenious and industrious youngsters can still build cyclotrons. 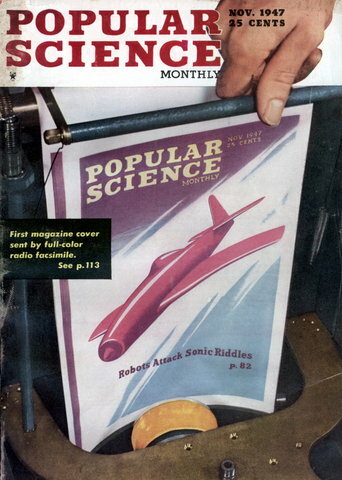 PSM photos by Hubert Luckett TAKE a good look at the front cover of this issue of your Popular Science Monthly. You are looking at something you have never seen beforeâ€”a picture that was transmitted by radio in one operation and imprinted on a sheet of ordinary paper. This is known as color facsimile. 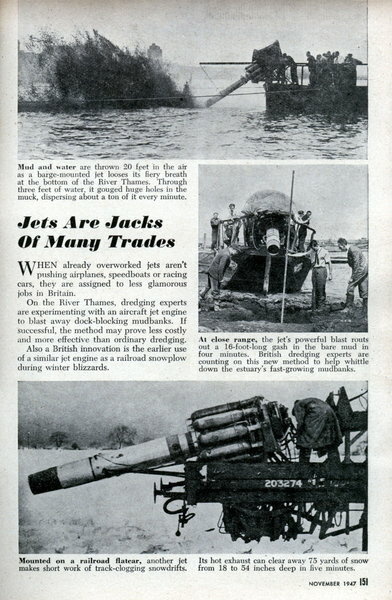 It is the product of years of effort to transmit an image by wire or radio and reproduce it perfectly on ordinary paper at the receiving point. 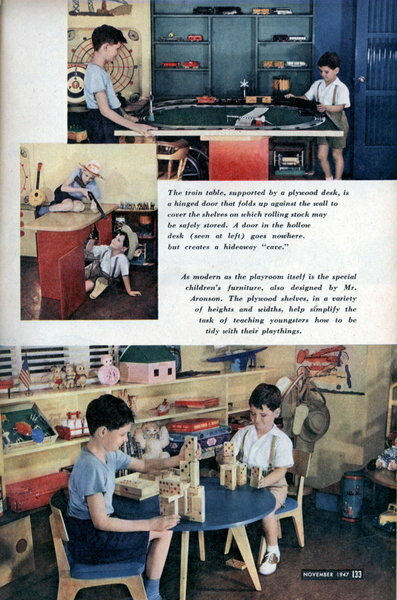 It was developed by Finch Telecommunications. 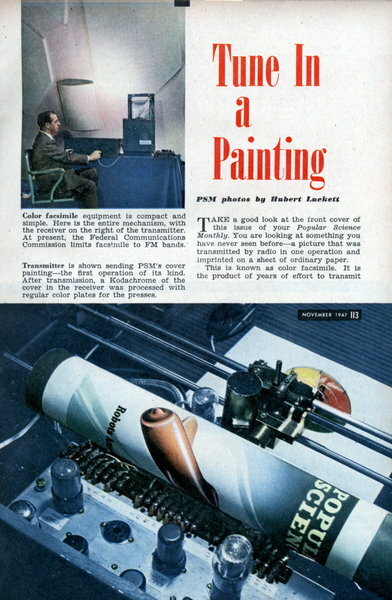 Inc., of Passaic, N. J. Finch labels it "Colorfax."